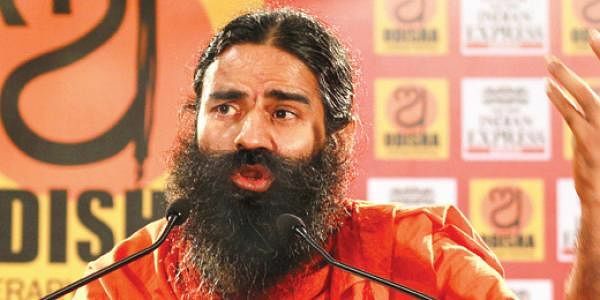 Yoga guru Baba Ramdev on Friday warned of a political storm brewing and once again put the Congress on notice. “You will see a political storm before the next parliamentary elections. But I will not disclose my plan of action know,” he told Editorial Director of “The New Indian Express” Prabhu Chawla in an interactive session after giving a talk on religious writings at the two-day literary festival here. Positioning himself in the run-up to the 2014 elections, the Baba also hinted that he would play a bigger role. Ramdev took a dig at the fresh allegation against Congress president Sonia Gandhi’s son-in-law Robert Vadra acquiring illegal properties worth Rs 300. This is peanut compared to the huge wealth amassed by Sonia and her family, he quipped. In fact, all the probe and anti-corruption agencies are working overnight to protect the Gandhi family, he charged. Asked if he felt sidelined as Anna got all the limelight in the fight against corruption, Ramdev said he has no craze for publicity as the whole of the country knew him much before the Anna movement. “Rather I gave him (Anna) a much bigger projection by organising rallies at Jantar Mantar and Ramlila Maidan,” he claimed.